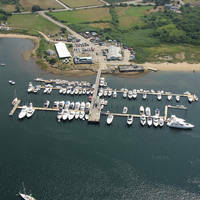 Ben Eoin Yacht Club has 75 berths (68 slips and 7 visitors berths), making it the largest marina on the Bras dOr Lakes. 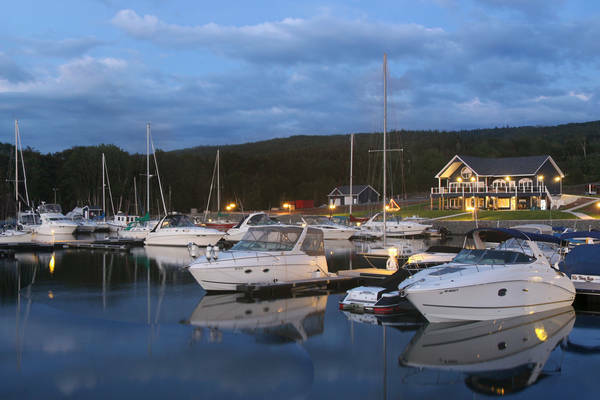 The brand new Ben Eoin Yacht Club & Marina is located on the south shore of the East Bay of the Bras dOr Lakes, a 25 minute drive from downtown Sydney, Cape Breton Island. The marina features an aluminium and composite wood Marina Dock system made up of wide (8 foot) and stable main run ways in a noise free dock structure with tapered /stable/fendered docks for ease of docking and boarding vessels. 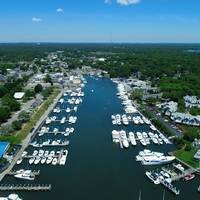 Guests can relax in the clubhouse, sit on the deck overlooking the marina and lakefront or watch TV, check email or surf the web in the clubhouse lounge. You can even book a round of golf at the neighbouring 18 hole championship golf course, The Lakes Golf Club, one of Graham Cookes world class designs featuring stunning views of the Bras dOr Lakes. Wi-fi is available throughout the marina basin, there is power and water to all slips. The fuel dock has gasoline and diesel. The Clubhouse has six spacious washroom / shower rooms and also has coin operated washers and dryers. There is staff onsite from 8:00 am to 8:00 pm, 7 days a week. 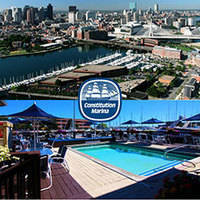 All in all a very nice, comfortable, accommodating marina.